There is a wide variety of plants available from this family and they are easy to maintain; tolerating low light, low humidity and infrequent watering. 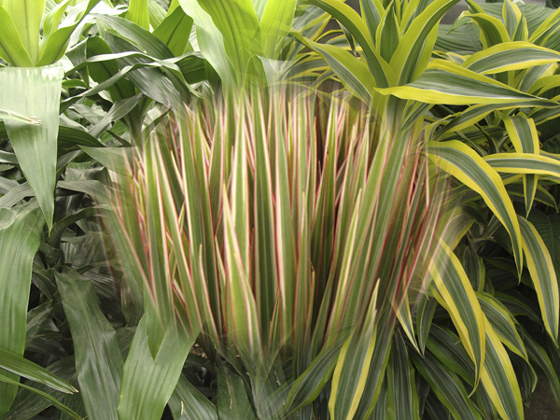 Keep in mind that while Dracaenas will tolerate adverse conditions, they will be much happier and healthier with just a little care. They are tolerant of low light but will do their best with bright, indirect light. Dracaenas do well with a weekly soaking. Do not allow them to stand with water in the saucer for more than an hour or two. They may need a little more water in the warmer months. Avoid allowing Dracaenas to dry out completely.